It is possible to extract some recommendations and apprehension from the results of the research to enable an efficient practice in distributing naloxone and to optimize this in the wider arena of policy and practices for the prevention of deaths from opiate overdose. The recommendations are divided according to area: operative, research, political, and each area proposes a focus on the Italian context. Guarantee access to naloxone. The classification of naloxone as an over-the-counter drug that does not require a medical prescription, is a crucial factor. It allows for any staff member, even non-health workers, any drug user, and any citizen to have access to it and to become an active protagonist for a strategy of preventing deaths from opiate overdose. The transfer of these competencies to civil society is in line with the health promotion approach which invests in “doing health” for the entire community in an alliance between professionals and citizens. The characteristics of naloxone are such that managing it at a community level is significantly safe. Naloxone should be obtainable, available and accessible in diverse methods of assumption, both as an injectable drug and for intranasal use. Invest in Harm Reduction (HR) services as strategic promotors of THN. Due to their mission and approach, HR services are the most competent for promoting and supporting the distribution of naloxone among PWUDs. They operate in the vicinity of the drug scene and the natural settings of drug use and therefore have access to PWUDs who are not in contact with services (some of whom have never been in contact and never will contact drug services). They also know the patterns of use of their clients and the correlated risks, and interact with the dynamics between peers and are able to valorize this with the objectives of solidarity and peer support. HR works according to a health promotion approach which places value on the skills of users, putting them on par with other citizens. The free offer of naloxone by the public health system, above all to the group of PWUDs who are more fragile, is a facilitating factor. When looking at the synergy between services, the distribution of naloxone is more efficient where HR services have multiple intervention modes that are simultaneously active (drop-in, needle exchange, other outreach services, drug consumption rooms, drug checking), all of which multiplies the distribution network points and widens the options for intervening in cases of OD, both on a prevention level and that of first aid. Combine the distribution of naloxone to PWUDs with information and counselling. The crucial role of HR in THN distribution is correlated with a necessary and continuous action of information, training and counselling offered to the PWUDs regarding the correct use of the drug, first aid techniques, the ability to recognize an opiate OD and to act correctly in that context. Proper training guarantees the prevention, or at least the reduction, of the impact of eventual undesired side-effects, such as a withdrawal crisis for the person assisted. It also guides the people providing aid towards standard behaviours of surveillance and support in the post-intervention phase, even when the subject in OD does not wish to go to hospital. Recognize, legitimize and valorize the competencies of PWUDs and their social networks. PWUDs are those who most frequently assist in an OD, therefore representing a potential network of first aid assistance which is widespread and timely. It is necessary to operate on many levels in order to increase and value both the skills for intervening and the solidarity and communication dynamics between peers. This means supporting them in recognizing their own abilities, in increasing their own self-efficacy and also- in reference to the context- in breaking down the socio-cultural barriers and the social stigmas that are still too frequently describing them as incapable and irresponsible subjects. This itself immediately invalidates the potentiality of their actions. Self-organization of PWUDS promotes their responsibility and capacity to play a social role, reinforce trust in their own skills and knowledge and support their civil rights. The associative and citizenship processes which work in opposition to the stigma and social prejudices, reinforce a positive protagonist role that also reflects on the peer role in the area of health promotion and limitation of risks. An alliance and collaboration is desirable, in a dialectic dimension, between PWUD organizations and the services in the area. Elaborate strategies, methodologies and instruments capable of increasing information and competencies. Civil society associations, HR and treatment services, other educational and prevention services and PWUD organizations, must work in synergy to construct useful ways and materials for enhancing and complement the skills that PWUDs already acquire from their own personal and collective experiences. It is opportune to elaborate the training and information materials together with the recipients of these materials and target them to the specifics of single groups and diverse methods of drug use. The role of HR workers could be significant in this area. Place responsibility on the entire drug addiction services system. The central role of HR services should not mean not recognizing the part played by treatment services both in preventing deaths from OD and with respect to the THN model. Drug addiction services follow opiate users who continue to use even during treatment, and who access the OST therapy, not with the aim of remission but for control/regulation of their use. In fact one of the outcomes of substitute drug therapy is the reduction of death from OD. With this profile, drug addiction services must operate in a continuum with those of HR services. Drug Addiction services are spread throughout the area, intercept a significant part of PWUDs and can therefore have both a capacity for risk assessment regarding OD during the entire therapeutic phase and also be a distribution point for naloxone and for information and advice on how to use it. These services also have more possibilities that HR services to intervene with families of PWUDs, to inform them and make them aware, even through the eventual consignment of naloxone. 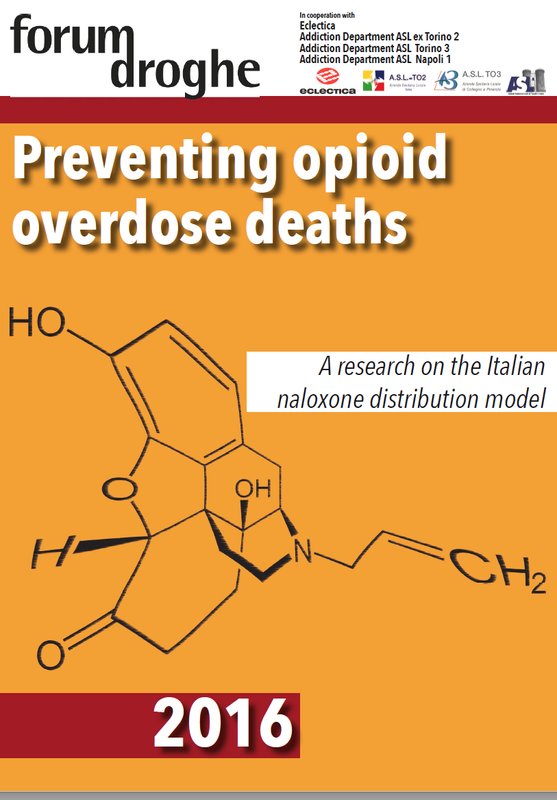 With respect to residential detoxification centers and therapeutic communities, it is important – given that the moment of discharge exposes the client to the greatest risk of OD due to altered levels of tolerance – that they elaborate ad hoc modalities of information, even predisposing the adoption of naloxone on release. This approach becomes even more urgent when the PWUD is released from a period of time in prison. Elaborate innovative strategies of THN aimed at diverse drug using styles and contexts and at younger users. For styles of drug use where opiate are not the first choice of drug nor is injecting drugs contemplated, OD risk is perceived in a very light way. While it is true the risk is less, it is nevertheless present and the current trend of an upswing in opiate use in the younger population of poly-drug users, identified in many countries, suggest urgency in adopting interventions such as information and distribution of naloxone in new natural drug user scenes and with new outreach methods. Furthermore this population could be correctly informed of the availability of naloxone in pharmacies or from services through the internet. Training could also be provided on-line. Other than combination interventions, the practice of drug checking-already present in many entertainment and drug use contexts as a prevention tool- could provide useful information regarding the composition quali-quantitative of the drug acquired and be an appropriate occasion to inform about THN. It appears crucial that intranasal naloxone be made available for this population who for the most part do not inject. Invest in the friendship and family networks. If the PWUD network is utilized, a good THN praxis is to also invest in their closer network of friends and family. To expand the information campaign, both media and on-line, and to create together opportunities for meeting, information and training, the involvement of the service networks, including those for treatment and associations of civil society are important. Particular care needs to be attributed to information and awareness of partners. It is also important to provide for support and to listen to family members who deal with the experience of OD of someone close to them. Widen the network of subjects to be included in THN distribution (1). General Practitioners. General practitioners (GPs) are present throughout the territory and each citizen- PWUD or not- is in contact with one of them. This therefore is a potential capillary network and professionally competent. GPs could be actors for OD prevention-through counselling and information- and for naloxone distribution in cases where their clients use opiates or have a family member who uses. They could be consultants and a network point for the distribution of naloxone. It is useful to propose training modules and concrete modes of participation in prevention campaigns for death from OD (informative materials, contacts, referrals to specialized services, and with PWUDs associations). Widen the network of subjects to be included in THN distribution (2). Pharmacies. In countries where naloxone is for sale in pharmacies as an over-the-counter drug and not requiring a medical prescription, pharmacies can be thought of as not just a sales point but as a network point in the health system. They could be the center of an information campaign and one to promote the acquisition and the use of naloxone by citizens directly or indirectly involved in opiate use. Particular attention needs to be paid to the relationship with the PWUDs, who not uncommonly is the object of distrust, stigma and alienation. Widen the network of subjects to be included in THN distribution (3) Police Force This issue needs to be dealt with in two different directions. On the one hand, the police who are present throughout the territory need to become allies in THN, overcoming the attitudes that often on the drug scene made them agents of dissuasion. They identify possession of naloxone as proof of drug use and/or possession of drugs and transform it paradoxically into an incentive for repressive control. Here the role HR workers can play in their community interventions is important. Secondly, it is possible to provide the police themselves with naloxone and the competencies for its correct use. Awareness and training of social and health workers. Wherever naloxone is available, all staff members, health or otherwise, must be able to use it, distribute it to PWUDs and administer it in case of emergency. In the national contexts where it is not an over-the-counter drug, services can -while respecting current national legislation- adopt guidelines ad hoc that allow socio-health workers to use naloxone. The non-health workers must have adequate training, knowledge and methods of use, and all workers, health, social and educative, must have training as to how to correctly inform PWUDS and their close network contacts. First aid workers should be made aware on how to interact with PWUDs who have perhaps already intervened with naloxone. They could ask for useful information and reinforce and legitimize their intervention and thus create a network of diverse but integrated competencies. “Socialize” naloxone. A media information campaign for the general public. The Health promotion approach that underpins THN recognizes the diffuse social skills that “make health”. As has happened in recent years for other first aid or prevention practices which have “exited” from professionals-only areas, to valorize the interventions in and of the community- (the diffusion of defibrillators in public places and the invitation to people to use them in case of emergency, for example)-the same could apply to naloxone. It is opportune to think of a media and social media campaign to inform the general public and to bring this life-saving drug out of its “niche” for use only by specialists in that particular field, and make it known, accessible and an everyday word. The activation and the assumption of responsibility process of the community towards preventing OD deaths should be both a cultural and a concrete process. As it happened for PWUDs, so it must be for citizens, to have at their disposition a pragmatic efficacious and easy to use instrument. This can only occur through the reinforcement of attitudes of solidarity, reducing fears and concerns and increasing perceptions of self-efficacy. The current regulatory framework is clear and sufficient. 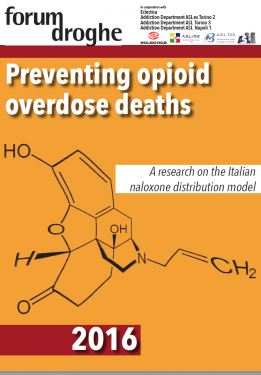 Notwithstanding that the classification of naloxone and the Italian regulatory framework regarding first aid in emergency situations is clear and sufficient to guarantee and protect whoever intervenes with naloxone in an emergency, it has happened, and still happens, that in some regions workers and services are not authorized by their regional authorities or by their own drug addiction services to neither distribute naloxone to their clients nor to administer it in the case of OD. While it is true there exists a policy gap (for example regarding guidelines), it is also true that the above cited regulatory framework permits intervention in any case. The absence of THN programs in certain areas of the country do not therefore appear justified from a legislative perspective. Every service can and should distribute naloxone. Each public and accredited private service, for treatment or HR, should include among their services, the offer of naloxone to their clients and their close contacts. With current resources, and while waiting for politicians to assume responsibility regarding this theme, even regions completely lacking or with very few HR interventions, could activate THN practices. They would need to act with the viewpoint of integration and networking among all the services and all the health workers in the territory. The economic impact of naloxone is very limited, and should not represent a real problem for the budgets of the public addiction services. Provide incentive for the peer support approach, collaboration between peers-services and support PWUDs associationism. The first resource of THN are the PWUDs and their competencies. In Italy there is still a strong cultural resistance against recognizing PWUDs as citizens and as experts of themselves. Professionals, above all those in HR, need to include in their operative models, the in-depth knowledge of natural protection strategies adopted by PWUDs, their valorization, their development and peer support, group training, support for associationism and PWUDs as civil protagonists. 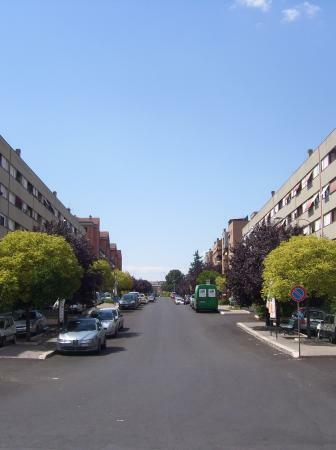 In Italy this approach has a long tradition and some areas of excellence but this is not equally distributed throughout the country. Initiate programs aimed at families. In Italy there exists a consolidated tradition that has consigned families of PWUDs to a culture centered on a dual dependency-abstinence binary, where parents and partners are induced to not see objectives such as less riskier use or methods of control and regulation of drug use, as acceptable or appreciable objectives. This “all or nothing” approach inhibits a prevention culture and often impedes an open dialogue between the PWUDs and the family. In order for the family to become a valid player in the prevention strategies for deaths from OD, it is necessary to promote a culture of risk limitation, informing and making family members aware and accompanying them in this process. The service system has all of the competencies and resources to promote this cultural innovation. Explicit support for the politics of HR. HR has need for explicit, motivated support, based on evidence, by government. This support guarantees the continuity of the intervention, access to services, and economic support for these services. It has already been proven by the vast literature on the subject that a lack or weak support and clarity in politics is a factor for failure and for the scarce efficacy of the interventions. Policy-makers must therefore engage in dialogue with the experts, with workers, with civil society, with PWUDs and decide, while limiting the influence of ideologies, and base their choices on a double criteria: evidence-based (what science and experience say) and human rights (what human rights and first of all health rights, say). THN should be part of the routine HR interventions. Make naloxone accessible in all possible pharmacological forms. Where naloxone is not accessible as an over-the-counter drug and requires a doctor’s prescription, or where even it can only be used by health staff, a reform of the national pharmacopoeia is necessary. There is much evidence that government could use to demonstrate that naloxone is a safe drug and there are very low risks correlated to its use. In countries where it is not yet available, actions must be implemented at all levels necessary to have accessibility in the shortest time possible, to intranasal naloxone. Elaboration of operative guidelines for THN. Government should give a clear mandate to agencies predisposed to elaborating operative guidelines that include THN. They should be oriented towards services and to the actors involved, as a guarantee of the quality and the appropriateness of the practices and their efficacy. The guidelines, while respecting the relative autonomy of the services at regional and local levels, should stabilize criteria and standards that guarantee everywhere, the availability of naloxone and the need for counselling and training of workers and PWUDs. The elaboration of guidelines should receive a contribution from all the competent actors and involve and include organizations from civil society and from PWUDs. Adopt the “combination intervention” approach. In order to have major efficacyand efficiency of interventions, THN needs to be considered not as an isolated intervention but within an integrated system. Prevention of OD and deaths from OD must be able to use all of the interventions that have been shown to be effective. It is opportune that where HR interventions such as OST with HR goals, drug consumption rooms and drug checking are not active, government assumes the urgent obligation to innovate and support a better intervention system. Modify context factors that increase OD risk. There are social, regulatory and cultural context that maximize the risks correlated to drugs, and context that instead play a positive role in limiting damage and risks. Political policy-makers influence this alternative under different profiles: the regulatory profile, that can aggravate or not the condition of being clandestine, a factor which directly influences the risk of OD; the politics of territorial control, which concretely influences places and methods of use; those regarding systems of service, that can be more or less responding to real needs, more or less accessible, more or less appropriate. Regarding protection from the risk of death from OD, a context that is not criminalized and not punitive for those who use drugs, and where resources are invested more in health and support than in repression and control of the phenomena, facilitates this protection. Intervention for a different social perception of drug use and drug users. On a political cultural level, an action that promotes a different social perception and a different “common sense” around drugs, users and correlated risks, is necessary. This means removing the PWUDs from the stigma that nails them or the pathology or deviance, or both. They represent a condemnation to “a bad ending” while they have contact with drugs. This is a vision which marginalizes people and also suggests the impossibility of containing the risk through adequate policies. 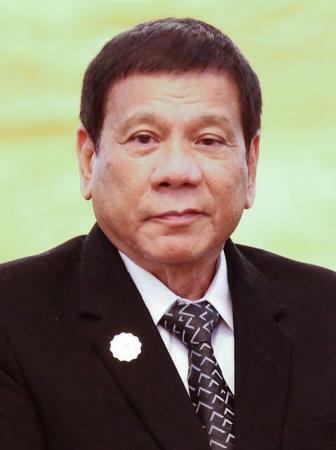 To have an up-to-date policy and action plan on drugs. 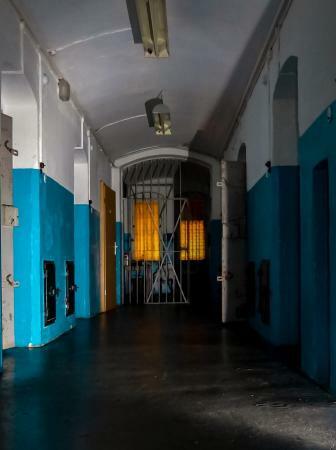 Italy does not have a clear drug policy nor an up-to-date national action plan, which explicitly includes HR as a pillar of national strategy. Alternating governments with diverse agendas have bought repeated discontinuity with respect to an approach on drugs, and scarcely based on evidence. Currently Italy does not have even a member of government delegated to deal with this issue. 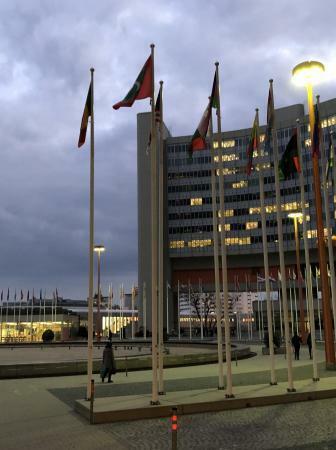 It is therefore urgent that the subject of drugs is back on the agenda, that Parliament proceeds with modifying the laws on psychotropic drugs and on services. These laws have been lying in the drawers of various commissions, and a redefinition of the national drug plan to include HR is necessary. 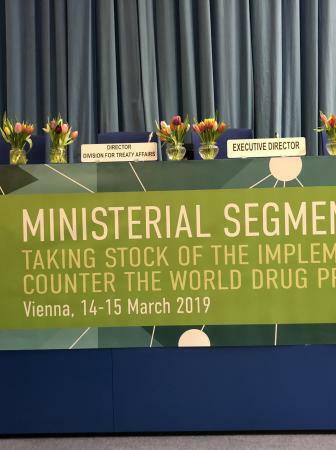 It is also necessary that this process is participative- as indicated by the European Drug Strategy- open to contributions from all competent and involved subjects. The triennial national Conference on drugs – established by law- needs to be revived as it is the seat for the evaluation of policies and for necessary innovations (a Conference that has not been called for more than 8 years). To release guidelines for HR. In 2000 and again in 2008 tow commissions of experts, workers and members of civil society elaborated guidelines for HR that explicitly included THN among the practices. These were to be guaranteed throughout the national territory in an effort to overcome the extreme unhomogeneous nature of the operative models between regions. In both cases, changed in government coalitions impeded the guidelines from becoming mandatory and operative. It is necessary to adopt new guidelines that include and define, among other interventions, the practices of THN. Prisons also need to be included in these guidelines, with the same interventions and services of HR as is guaranteed outside prison walls. Include THN in the LEA- Essential levels of Assistance. In January 2017 the LEA were redefined, and for the first time they include HR, therefore allowing HR services to be implemented in all regions and not, as currently happens, only in some. During 2017 the HR services will be defined and it is necessary that THN is included. This represents a guarantee for the diffusion of naloxone throughout the national territory. Organize an efficient monitoring model for deaths from OD. An efficient system for recording deaths from OD needs to be established in order to have full knowledge of the phenomena, necessary to orientate interventions and political decisions. Elaborate a monitoring and evaluation model for Monitoring and evaluation are essential for the elaboration of the best guidelines for intervention, to evaluate the efficacy and efficiency of the operative models and THN services. They would also provide workers with a solid base for managing and innovating their own practices. An evaluation model would also support policymakers in their choices. This means therefore that THN must be included in the data collection system of processes and results inherent to HR. The monitoring and evaluation system must be realistic and manageable, and must take into account the needs and restrictions that workers have in data collection when this often occurs in informal contexts such as the street or natural settings. Knowing drug use patterns and strategies of PWUDs. The distribution of naloxone “enters” into the daily life of PWUDs and their networks and makes use of their relationships, their skills and their behaviours. This implies having good knowledge about both drug use patterns and individual and group strategies in managing drug use, as well as the life contexts and their influence. It is therefore necessary to develop qualitative and ethnographic research which are able to orientate operative models. Valorize and involve workers and PWUDS in research. Those who work in the field and who live drug use in the first person are “privileged antennae”: research on risk factors for OD, prevention strategies and first aid, must place value of these informal “observers” and create occasions for collaboration and synergy with researchers and the organizations undertaking research. Promote action-oriented research to practices. It is necessary that whatever type of research is undertaken concerning strategies and operative intervention models, that it provides knowledge aimed at action. It must be explicitly applicable in terms of strategies and models for intervention, and be oriented to support policymakers. Regarding interventions, particular attention should be paid to propaedeutic research for elaborating efficacious models of risk assessment for OD for health services. Include THN in the institutional monitoring system. Today, thanks to the lack of clear guidelines for HR, the monitoring system for interventions managed by SIND- The Ministry of Health- does not include data on HR services and therefore also not on THN practices. These interventions need to be included and a regional and national system of data collection set up. This is more urgent now that HR is included in the LEA- Essential levels of Assistance. Develop qualitative research, change perception about PWUDs. 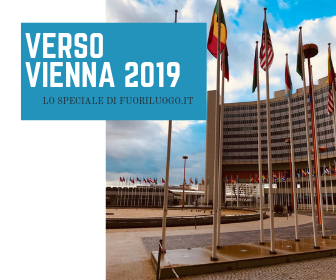 Qualitative and ethnographic research on drug use in Italy is particularly penalized due to the current cultural, scientific and economic profile. A decisive step is required to re-orientate research policy (and relative investments) in this direction. All competent subjects need to be involved and the DPA- National Drug Agency Department should be asked initially to include a specific dedicated section to this in a new (hopefully) national Action Plan. Develop evaluation studies for the processes and outcomes of THN. In order to support evidence-based policy decisions, as well as providing necessary feedback to those working in the field, it is necessary to promote and support evaluation studies on the outcomes of policies and practices relating to the prevention of OD and deaths from OD, including a specific focus on THN. Greater synergy between information systems and the death registries to monitor cases of OD. In Italy data on drug related deaths and from OD arrive from diverse sources and within different times. They are also collected using different codifications, making the reading of this data difficult, not complete nor timely. It would be opportune to intervene to render the system more efficient and to enable greater cooperation between the departments involved. Citing the source is necessary when using parts of this publication. Please contact Forum Droghe for permission if you wish to use the entire publication.